If you have any shredded chicken that you need to use, this recipe is for you. 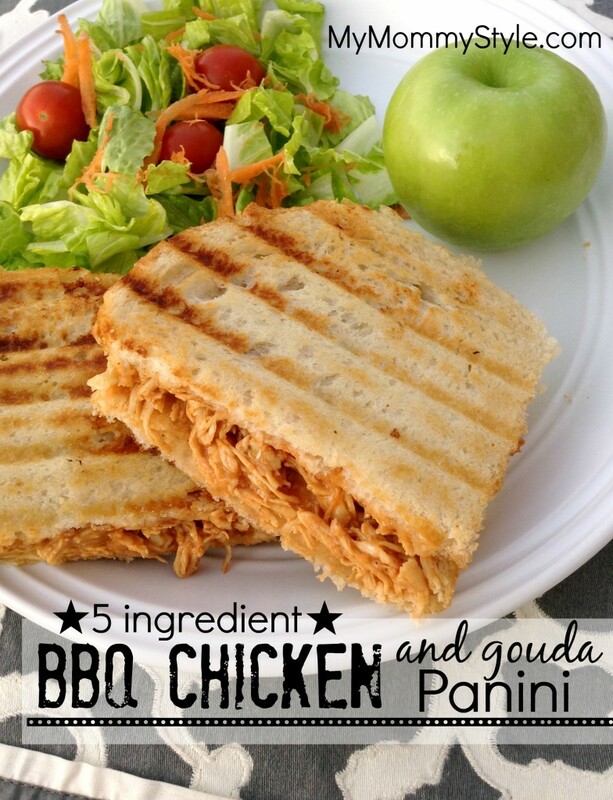 It takes 20 minutes start to finish to make these delicious paninis. They’re so fast to make you may just find yourself with enough time to play candy crush in the kitchen while you wait for dinner time. I served this with a salad and fruit. In a medium bowl combine chicken and coleslaw mix. Stir in the BBQ sauce and once combine mix in the shredded cheese. Divide chicken mixture among four of the bread slices. Top with the remaining four slices of bread. Lightly coat the outsides of sandwich with cooking spray. 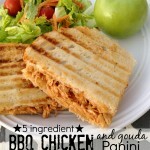 Preheat a panini grill (I used a George Foreman grill) and place sandwiches on the grill. Close lid and grill for 2-3 minutes or until sandwich is toasted and filling is heated through.